February 19, 2019, © Leeham News: Machinists Union members who work at Cadence Aerospace-Giddens in Everett, WA, voted overwhelmingly to approve a new three-year contract with the company. Oct. 16, 2018, © Leeham News: Puget Sound-area Boeing suppliers are anxiously awaiting an Oct. 30th meeting at the Lynnwood Convention Center. The aerospace giant has invited dozens of suppliers to the meeting. Attendees have been required to sign non-disclosure forms in advance, though Boeing has been tight-lipped about what exactly it plans to discuss with them. Each company has been limited to sending only two representatives, according to several suppliers attending the meeting. “It doesn’t matter if you’re a machine shop or a big (tier one supplier), you can only send two people,” said an executive at a Puget Sound-area supplier. The supplier spoke on condition of not being named for fear of losing business with Boeing. Boeing has indicated that the conference is to discuss sweeping changes to how the terms and structure of its supply chain contracts. But it has revealed few details, according to executives at two suppliers. “You know it’s bad if they won’t tell you what it’s about,” one of the executives said. Oct. 3, 2018, © Leeham News: United States-based aerospace suppliers say lead times and prices have significantly increased for aluminum, steel and other high-grade materials used to make commercial and military aircraft. But, they say, they have taken the increases in stride. Aerospace suppliers based outside the U.S. generally have been less affected by the increases in lead times and prices for high-grade aluminum and steel, which President Donald Trump slapped tariffs on in March. September 3, 2018, © Leeham News: Boeing’s insistence that more and more subcontractors meet stringent aerospace manufacturing standards risks adding cost and reducing flexibility to the supply chain, several direct and indirect Boeing suppliers tell LNC. The aerospace giant is requiring more second and third tier suppliers have AS9100 certification. Until recent years, OEMs and their direct suppliers typically were the only companies that formally complied with AS9100. Subcontractors were expected to conform to the standards, but did not have to formally comply with the requirements. Doing so is expensive and time consuming. 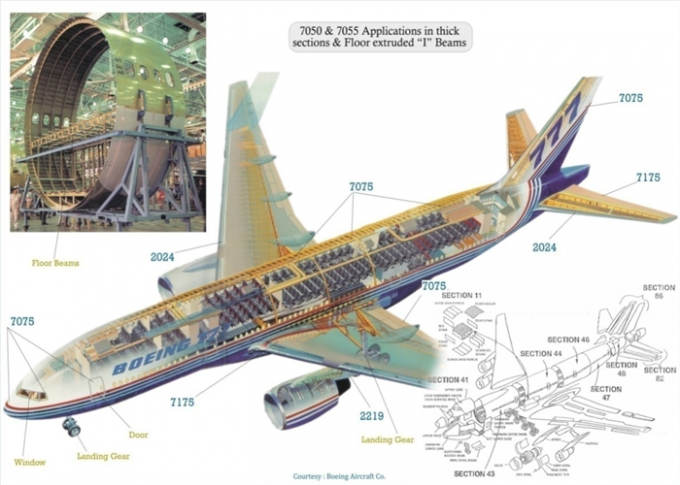 Subcontractors’ work was covered by the Tier 1 suppliers’ or Boeing’s AS9100 certification. The AS9100 standards were adopted in the late 1990s to improve and standardize quality management throughout the increasingly global aerospace industry. Boeing pushing more subcontractors to be AS9100 certified, according to suppliers. That risks adding cost and reducing flexibility in supply chain. Some suppliers worry it’s a prelude to more cost cutting.